GAINESVILLE - Gainesville City Commissioners have "pulled the lever" on a new city ordinance that temporarily stops the spread of Internet cafes within city limits. 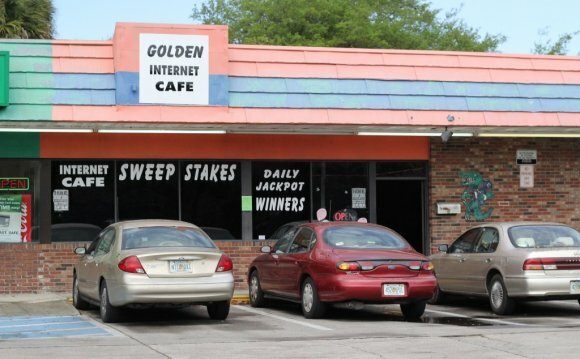 On Thursday, commissioners approved a six month ban on permits for all Internet gambling cafes at the request of the Gainesville Police Department. Over the next few months, the commission will consider making that ban permanent. Even though the state Legislature banned all Internet cafes last year, it left the job of enforcing the ban up to local law enforcement agencies - a move officials at GPD say proved to be too costly for them. "These investigations are very complex investigations, " said GPD Chief Tony Jones. "It does exhaust a lot of human resources to determine the legality of them, " said Jones. GPD officers say there also tended to be more crime in areas near these Internet cafes. Gainesville business owners who've experienced the cafes firsthand say they support the city's ban and will push to make it permanent. Since the statewide ban first went into effect last year, the City of Gainesville has issued six zoning permits for Internet cafes. Of those six, the city says only two re-opened - one was shut down by GPD while the other shut its doors after learning they were being investigated.